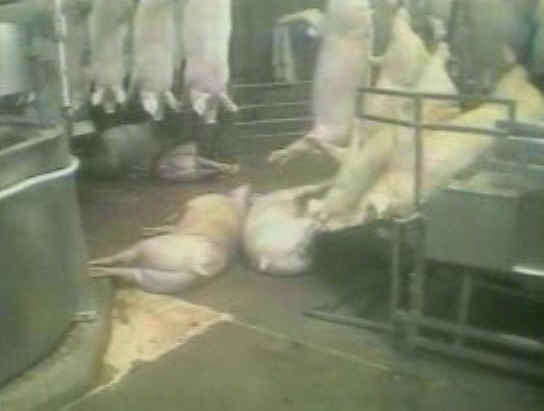 (Pig Exploitation - Slaughter - 18) These pigs are being dumped down a shoot on to the killing room floor. Some are still fully conscious and are struggling. We have seen no compassion in this industry. There is only the inflicting of fear, pain and death.